James LaRue, director of Douglas County Libraries in Colorado, recently wrote an article for American Libraries magazine on the future of library funding for digital and print resources. In the article he predicts that three years from now, public libraries will divert as much as 50% of their budgets to digital content—creating wider access to e-books as more and more people switch to e-readers. It is wonderful that libraries are responding to their patron’s demand for digital, however as demand for print books declines, so too may the necessity to keep them on hand. In a few short years we may see libraries ridding themselves of thousands of books that are no longer needed by their patrons due to the switch to digital. Libraries may also see a rise in donations from the public, who are replacing their home collections with digital copies. Libraries with active Friends groups and productive sales will take advantage of this influx, while those who lack these resources for dealing with discards and donations may find themselves drowning under boxes of paperbacks. No one wants to see these books go to waste, especially not B-Logistics. We want to help libraries manage their excess materials, while creating a revenue stream that can provide funds for e-books and library programs. Visit www.blogistics.com to learn more! I hope libraries don't move too quickly to get rid of their books. I get little satisfaction reading something on a tablet. It's almost cold and without feeling... but there's this amazing anticipation as I turn each page and get closer and closer to finishing a good book. It's exciting! I agree but having spent 20+ years in traditional book publishing, I see the writing on the wall...or in this case, the tablet! 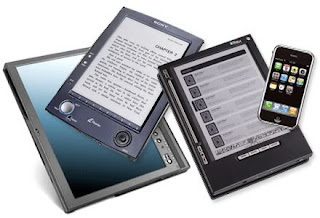 Libraries serve the public and the public "seems" to want ebooks. Look at the number of seminars being offered at the ALA conference related to ebooks and digital publishing -- and there will be plenty of exhibitors there to back this up. Whenever we raffle off reading "devices" the librarians are eager to have one - if not for themselves, then as a teaching/learning device.